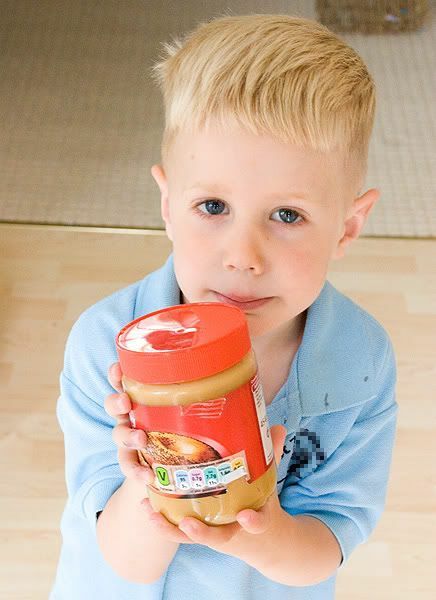 Noah loves crunchy peanut butter. The other day we were chatting about it while he ate his waffle with p.b. on and I asked him, "Do you know what the crunchy bits in crunchy peanut butter are?" He thought about it for a minute then declared, "Metal."